Feverfew is one of those cottage garden favourites than is as suited to the cut flower garden as it is to the herb flower garden. 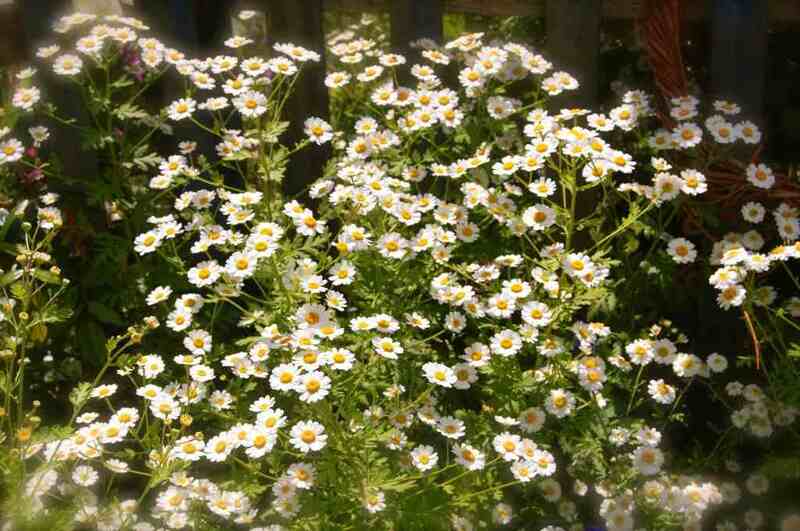 She has masses of golden-eyed white daisy-like flowers that appear in early and midsummer adding lovely colour to the sunny garden. Very few flowers will give your arrangements a relaxed ‘summer in the country’ vibe like Feverfew will. Easy to grow from seed…comes back year after year to the delight of your vases.